While the proposed Wichita city sales tax is a bad idea, the city could do a few things that would not only improve its chance of passage, but also improve local government. This week the Wichita City Council passed an ordinance that starts the process of placing a sales tax measure on the November ballot. The one cent per dollar tax will be used for several initiatives, including an economic development jobs fund. The city will need to gain the trust of citizens if the measure is to have any chance of passage. While I am personally opposed to the sales tax for some very good reasons, I nonetheless offer this advice to the city on what it could do to help pass the sales tax. 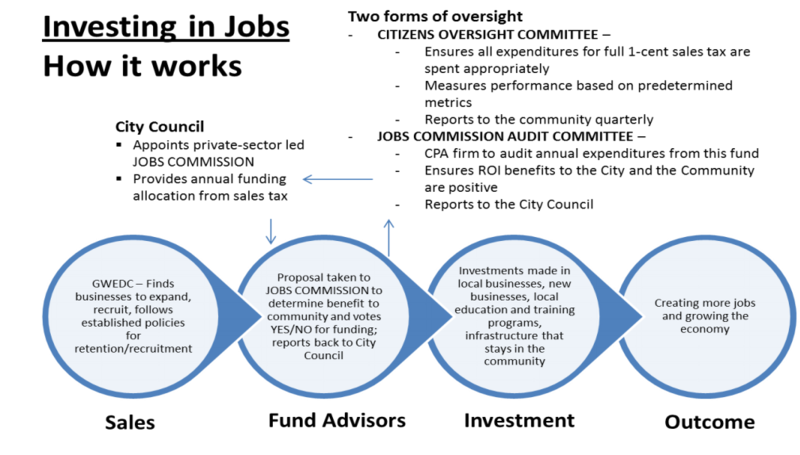 Presentations made by city hall state that the city council will appoint a private-sector led jobs commission. It would examine potential projects and make recommendations to the council. There will also be a citizens oversight committee and a jobs commission audit committee. The problem is that committees like these are usually stacked with city hall insiders, with people who want to personally gain from cronyism, and with people the city believes will be quietly compliant with what the city wants to do. As an example, consider my appointment to the Wichita Airport Advisory Board last year. I had to be confirmed by the city council. I’ve been critical of the subsidy paid to airlines at the Wichita airport. I’ve researched airfares, air traffic, and the like. I’ve presented findings to the city council that were contrary to the city’s official position and that discovered a possible negative effect of the subsidy effort. Because of that, the council would not confirm my appointment. The city was not willing to have even one person on the airport board who might say wait, let’s take a look at this in a different way, and would have facts to support an alternative. 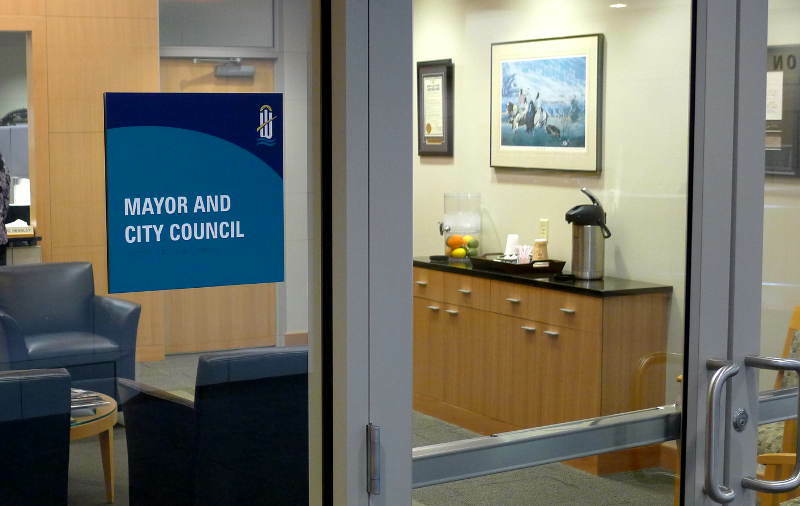 If the council is serious about this it could take a simple step: Appoint the members of these boards well in advance of the November election. Also, define the structure of the boards, such as the number of members, how appointed, term of appointment, and other details. 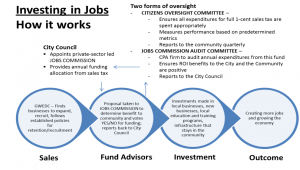 The city says that the operations of the committees and the jobs fund will be transparent. But the city’s record in transparency is poor. For many years the city’s quasi-independent agencies have refused to release spending records. Many, such as I, believe this is contrary to not only the spirit, but the actual language of the Kansas Open Records Act. There is nothing the city has said that would lead us to believe that the city plans to change its stance towards the citizens’ right to know. If the city wants to convince citizens that it has changed its attitude towards government transparency and citizens’ right to know how tax money is spent, it could positively respond to the records requests made by myself and Kansas Policy Institute. The city is also likely to engage in an educational and informational campaign on its cable television channel. If it does, a welcome gesture would be to offer time on the channel for citizen groups to present their side of the issues. The city’s cable channel is supposed to be a public access channel, but as of now, citizens have no ability to produce content for that channel. In presentations to the council, reports released by the Texas Enterprise Fund have been used as examples of what Wichita might do to inform citizens on the economic development activities funded by the sales tax. But many in Texas are critical of the information provided about the fund’s operation. In Texas, Mr. Perry in a 2011 report to the legislature credited the Texas A&M Institute for Genomic Medicine with already producing more than 12,000 additional jobs. That’s ahead of the 5,000 promised by 2015. According to the institute’s director, however, 10 people currently work in its new building. A Houston-area biotech firm that agreed to produce about 1,600 of the project’s jobs has instead cut its Texas staff by almost 400 people, and currently employs 220 people in the state. What accounts for the discrepancy? To reach their estimate of 12,000-plus jobs created by the project, officials included every position added in Texas since 2005 in fields related sometimes only tangentially to biotechnology, according to state officials and documents provided by Texas A&M. They include jobs in things ike dental equipment, fertilizer manufacturing and medical imaging. William Hoyt, an economics professor at the University of Kentucky who studies state economic-incentive programs across the U.S., said similar efforts elsewhere have been dogged by controversy over how many jobs they actually created. Even so, Mr. Hoyt said he hasn’t come across a definition as broad as that employed by Texas. “It’s hard to see jobs in dental supplies in El Paso being related to a genome clinic in College Station,” where Texas A&M’s main campus is located, he said. Locally, Wichita has had difficulty making information available. Last year the Wichita Eagle reported on the problems. The Eagle asked the city last week for an accounting of the jobs created over the past decade by the tax abatements, a research project that urban development staffers have yet to complete. One might have thought that the city was keeping records on the number of jobs created on at least an annual basis for management purposes, and would have these figures ready for immediate review. But apparently that isn’t the case. We need to recognize that because the city does not have at its immediate disposal the statistics about job creation, it is evident that the city is not managing this effort. Or, maybe it just doesn’t care. This is a management problem at the highest level. 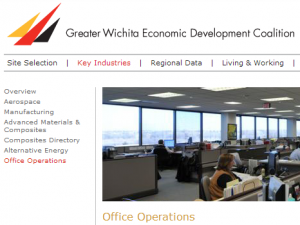 Observe that the official Wichita-area economic development agency touted the existence of a company that no longer exists in Wichita, and claims a job count that the company never achieved. Also, at that time the USPS facility was in the process of closing and eliminating all Wichita jobs. What is Wichita doing to convince citizens that it has moved beyond this level of negligence? Previous PostWichitaLiberty.TV: Primary election results, and a look forwardNext PostVoice for Liberty Radio: Hydraulic fracturing: A conjured-up controversy?